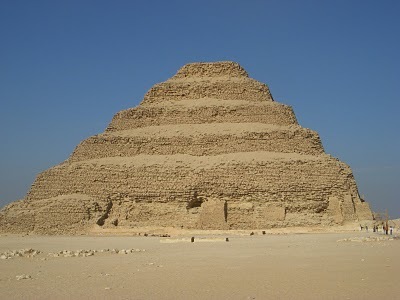 The oldest standing stone monument in the world is the Step Pyramid at Saqqara. This structure stands tall and proud. Rising out of the Nile valley, when a foreigner traveled from a far distant land and saw the Step Pyramid; they knew that the Egyptians meant business. Today when viewing it from the Nile valley – the Step Pyramid shines and rises out of the desert like it was just formed on its own. 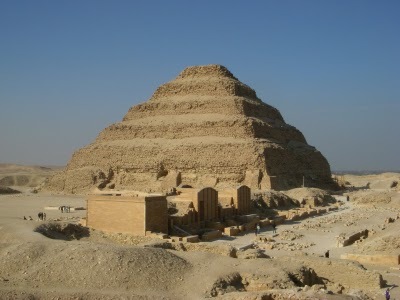 The Step Pyramid tops the sites of the Old Kingdom being built in 2650 B.C.E. 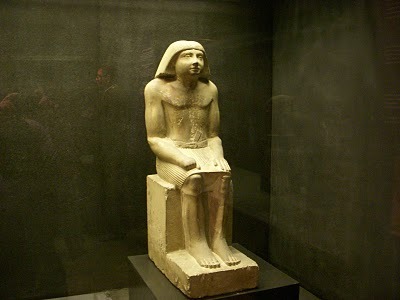 for the Pharaoh Zoser – it is the earliest stone monument built. 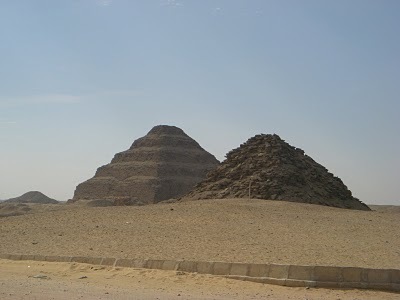 At this time there are a little over 100 Pyramids in Egypt. Although in the days of the Pharaohs there were many more. Interesting to learn, and observe, about how concerned they were about the after-life and death. They were right about an after-life, little did they know that death results in rebirth; within the human cycle over and over. During the time of 3000 B.C.E. the story of Krishna took place, a very enlightened person – who had a strong influence in this world of darkness. The Bhagavad Gita clearly teaches about the rebirth cycle; little did the civilisation of the west – Egypt and Sumer – understand this concept; which is the case for the most part, nowadays. Finishing off the Old Kingdom of Egypt has been an experience which will be unforgettable. There is more to see, much more. Not only the Middle Kingdom, but the Grand New Kingdom when Egypt was the most powerful with the Pharaohs of Amemhotep the Third and Ramses the Second – two of the most powerful Pharaohs that existed and who built Grand Temples and Tombs because of their belief in the after-life. 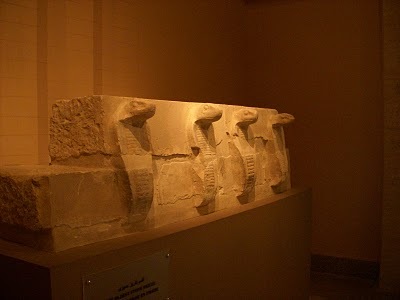 Nevertheless, first things are first; I will be heading to the central valley oasis, which will be nice to leave Cairo. A city with 25 million people has a tendency drain a person’s energy. Although, I did have a good time here in Cairo. Staying in Maadi has been a treat. I am not to sure on the Internet situation in the Oasis that I will be visiting, it might be awhile until I post again. At this time traveling Egypt, I could very well be here until May. I decided not to pursue the Syrian Visa, I like to avoid headaches, although I could go to Lebanon from Jordan then to Turkey. I will decided on this route when I get to Amman in Jordan, which wont be for awhile. Just to note, I have been searching around for an exchange on help-exchange.net; there is one place in Jordan in the Wadi-Rum. I am thinking on contacting the person (Bedouin) this spring, maybe I could stay and work for an exchange for food and housing for a month or so. 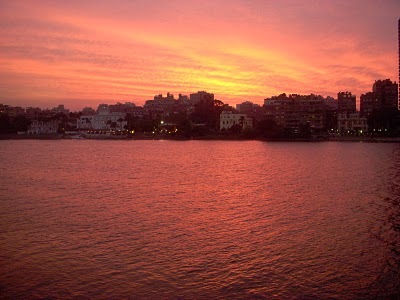 The below picture of the River Nile at sun set – Cairo. Next post: The Bahariyya Oasis. Previous post: The Red Pyramid – Dahshur.